The portal. The secret door. 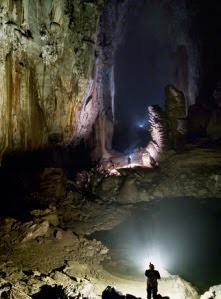 The entry into an unknown and fantastic world. Is there any more cliched trope of fantasy writing no matter how creative the author may get? For L. Frank Baum, a tornado acts as the portal, transporting Dorothy from her farm in Kansas to the magical world of Oz. In C.S. Lewis' The Lion, The Witch, and the Wardrobe, it was the...well...wardrobe that hid an entrance to Narnia. And as all Potter fans know, it was Platform 9 3/4 that is best remembered as the secret door through which Harry left his Muggle life with the Dursley's to truly enter the magical world (although he'd taken a short dip through The Leaky Cauldron into Diagon Alley). To further drive home the dangerous and important nature of these portals to new worlds or gateways to new challenges, Threshold Guardians are before them to keep the unworthy out. A guardian may be a goodhearted ally of the hero, looking out for his best interest, or he may be an accomplice of the villain, seeking to harm or hinder the hero from completing his quest. Either way, as part of his quest, the hero will be tested by his ability to overcome or win over the many Threshold Guardians he will encounter along the way. 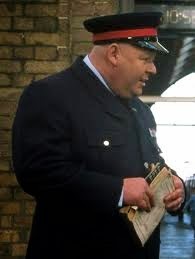 At Platform 9 3/4, it is the guard who, with Muggle ignorance of the wizarding world and his belief that Harry is pranking him, keeps Harry from, initially, finding the hidden door. Harry must not give up, he has to listen for clues and approach the odd family that will provide him entry...the Weasleys. How many old stories can you think of that are not only still read, but continue to reside passionately in the heart of its fans? Austen, Mitchell, Tolkien, Lucas are a handful of the rare few who created stories and characters so well loved that people are still passionate about Elizabeth and Mr. Darcy, Scarlett and Rhett, Frodo and Sam, and Han and Leia decades and centuries later. While there are numerous works of classic literature deemed worthy enough to be taught in school, only a select few are remembered with passion by dedicated readers well after the last story was told. With J.K. Rowling's Harry Potter, well, it's not been centuries yet, but it has been almost 8 years since the release of Deathly Hallows. And while the fandom has calmed down somewhat since those last frenzied days of July 2007, they have by no means forgotten their Boy Who Lived while pursuing other interests. Nor have the businesses associated with the Potter empire. 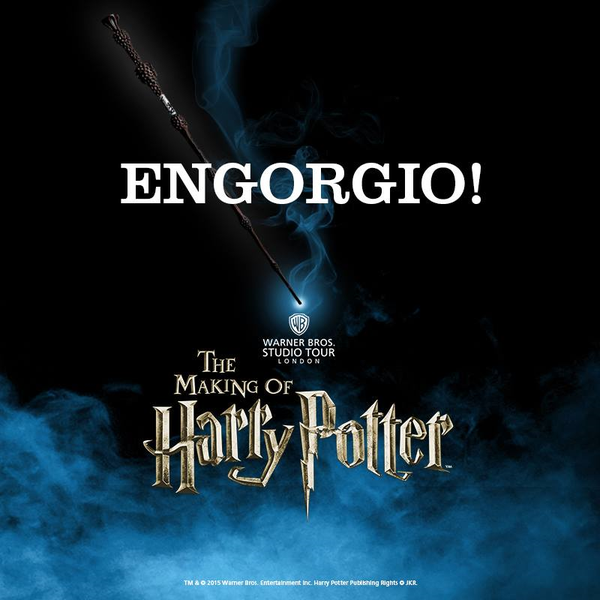 Warner Brothers is dropping hints that they are expanding the popular Leavesden Studio attraction of The Making of Harry Potter. Last summer Universal Studios did expand the Magical World of Harry Potter, adding on Diagon Alley. And in November 2016, fans will once again be treated to a movie in the Potter world when the much anticipated Fantastic Beasts and Where to Find Them is released. I’ve always remembered my colleague’s advice, and that phrase, “Go where it’s scary,” comes to mind whenever I find myself dragging toward something I dread but know I must do. This is especially true with my writing. Being the polite Southern girl that I am, I often hesitate to inflict conflict upon my characters, or even worse, have them confront and deal with their innermost pains and fears. In my recent edits on Southern Fried Wiccan, it meant I had to rework a huge section and totally amp the conflict. In honor of my new cover, I've redone the design of my blog and website a bit. How do you like it? And would LOVE to know what you think of my cover! Thank you to the following bloggers for being a part of the cover reveal tour! Be sure to check Southern Fried Wiccan out on Goodreads! The Snake and the Wand -- Are They Related? Can you think of a more cliched article of fantasy writing than the wand? What witch, warlock, mage, or sorcerer would not be properly attired without the final touch of this powerful weapon, whether it be a traditional stick of wood or a staff of power...or perhaps even a light saber. I've been fascinated recently with the wand and its origins. While some people believe the origins of the wand lie in a symbolic representation of masculine power, a phallic symbol, I've been pondering another source. This is the result of the major edits I just finished with Southern Fried Wiccan, which is releasing in March. One of the things I had to work on to get just right was my description of an ancient goddess who gets some screen time on the page (in her mini-sculpture form). 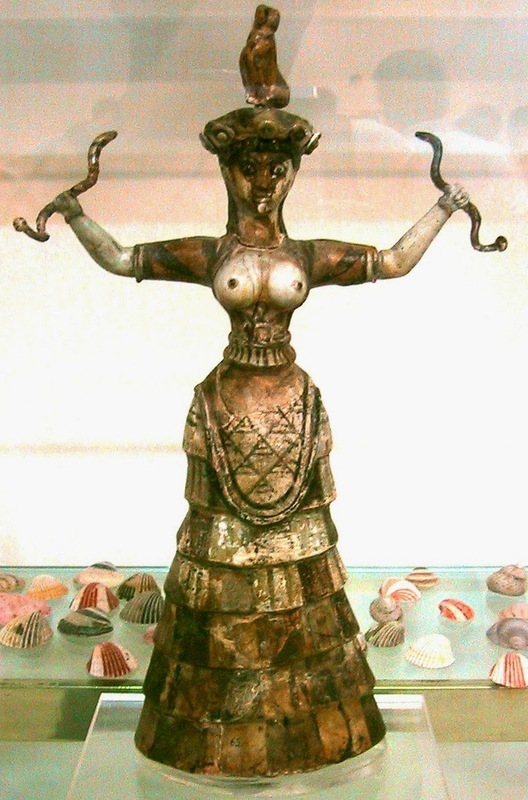 The Snake Goddess of Crete (from ~1600 BCE) is an awesome example of the power of the goddess in antiquity. Not only is she holding two snakes, but she holds them upright, in a display of power, with her breasts -- her female reproductive and nurturing power -- fully bare. She is not a goddess to mess with. But it is the way she holds the snakes that got me thinking about other early examples of snakes used as rods of power and their origin. Look at this example of a couple of royal serpents on a staff carried by Thoth, the ancient Egyptian god of knowledge and writing (yes!). 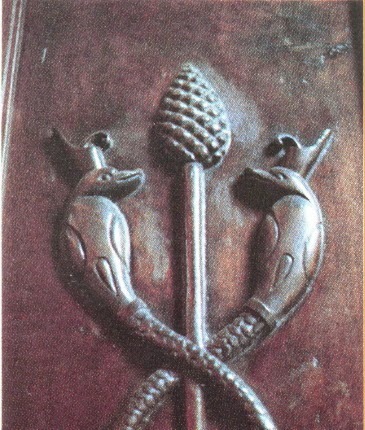 Or this one of a pine cone staff associated with the Egyptian god, Osiris, god of the dead. 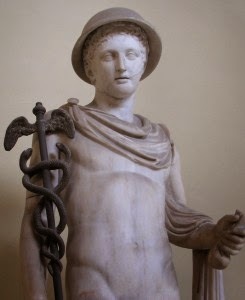 There were many examples of snakes wrapped around sticks from ancient Babylonia and Egypt which eventually made their way into the representation of the caduceus of Hermes. Many of these symbols were not only associated with power, but with medicine and healing as well Handling snakes has long been a dangerous, but in many areas of the world, a necessary occupation. The snake handlers of India are still called upon in rural villages to remove venomous vipers from people's home. Even today in Appalachia, the tradition of snake handling is still practiced in some churches. Those who fear the snake (me!) look with awe on anyone who is fearless enough to engage them with their bare hands. We know that snake worship was practiced in many ancient societies, and most believe it was due to the snake's symbolic nature of death and renewal through the shedding of its skin, plus it's representation with the underworld as it lives underground. But from a real practical viewpoint, I wonder -- did the wand originate from snake handling? Is that why so many of the earliest depictions of wands and royal staffs frequently incorporate a serpent image as well? Perhaps people, even in ancient times, who wanted to adopt the power of the snake charmer without...you know...actually touching a snake, picked up a stick and magically assumed its power. Potter fans rejoice! The release date for the upcoming Fantastic Beasts and Where to Find Them movie was announced this week. We only have 1 yr, 10 months, 4 days, and (as of this posting) 14 hours to wait. And with waiting, to examine and over analyze every detail Jo releases. So it's time for me to stop slouching around this blog and get back into the game. Hopefully Pottermore will give us some clues to go on. After all, FBWFT will be set in the same universe, if not the same time period as Potterdom, and Newt was Luna's great grandfather-in-law. ;-) Plus, Jo has finally gotten on board with Twitter and has been releasing clues there. Colours also played their part in the naming of Hagrid and Dumbledore, whose first names are Rubeus (red) and Albus (white) respectively. The choice was a nod to alchemy, which is so important in the first Harry Potter book, where ‘the red’ and ‘the white’ are essential mystical components of the process. The symbolism of the colours in this context has mystic meaning, representing different stages of the alchemic process (which many people associate with a spiritual transformation). Where my two characters were concerned, I named them for the alchemical colours to convey their opposing but complementary natures: red meaning passion (or emotion); white for asceticism; Hagrid being the earthy, warm, physical man, lord of the forest; Dumbledore the spiritual theoretician, brilliant, idealized and somewhat detached. Each is a necessary counterpoint to the other as Harry seeks father figures in his new world. I was thrilled! Thrilled I tell you to read this...and have been meaning to write about it for quite a while. While many Harry Potter analysts have long understood the link between the colors of Sirius Black, Albus (white), and Rubeus (red) to their respective alchemical stages, I'd also pointed out the oppositional nature between Hagrid and Dumbledore back in an essay I wrote for The Plot Thickens in 2004 then later expanded for a paper given at Accio 2005, University of Reading, UK. In "Geomancy and Alchemy in Harry Potter," I used Jo's Gryffindor passwords of Caput Draconis and Fortuna Major to analyze how Jo was weaving secrets from geomancy into her story...particularly the opposing nature of Rubeus Hagrid to Albus Dumbledore. Albus and Rubeus form one set of opposing figures. Albus (White) represents peace, wisdom, and purity, while Rubeus (Red) indicates passion, power, and violence. Peace-loving, honest, pure, and charitable. Related to intellect and mysticism. "Rubeus is a figure of passion and involvement in life, balancing the abstract detachment of Albus” (Greer 44). Good with agriculture and animals. Note: This chart bases the planet, element, and sign attributions according to Henry Cornelius Agrippa--who as coincidence would have it, Ron mentioned three times (SS 102) on the Hogwarts Express in his desire to collect Agrippa's Chocolate Frog card. Agrippa, an alchemist of the sixteenth century, was both feared and revered in his day as a sorcerer. He was most famous for his book Occult Philosophy, in which "Of Geomancy" was a part. 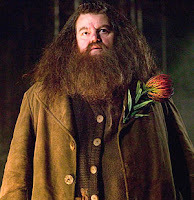 Albus is considered a positive figure, while Rubeus is negative--meaning if Albus appears in your geomantic chart in regard to a question, the outcome you seek is usually favorable, whereas if Rubeus appears, except in certain situations (love, war, and agriculture), your answer is unfavorable. In my opinion, while I do suspect Hagrid has a darker and more powerfully magical side than he is given credit for, and while I think it entirely possible Dumbledore is not quite the god-like all-knowing wizard when it comes to deciphering others' characters (I think he tends to see their potential rather than the reality), in the end it is my belief that these two characters are as upfront as they appear to be. What I believe Ms. Rowling has done with the geomantic opposites of Albus and Rubeus is to show two sides of the same coin. Even though Dumbledore and Hagrid are diametrically opposed, they’re on the same team. They will fight side by side. Yet, their personalities are complementary. This dichotomy suits their relationship with Harry just perfectly. Each offers a fatherly example to Harry in his own way. Harry can garner their different strengths and go to each for his own brand of support and understanding. As always, diversity contributes to growth. In this case, to Harry's growth. What do I think will happen in the last book of the septology based on this geomantic interpretation? I believe that before the end of the series, Dumbledore and Hagrid will possibly come into direct conflict. More than likely, the subject will be Harry and his best interests (much like was covered in OotP by the bickering between Mrs. Weasley and Sirius). I think it entirely possible Hagrid will figure into a death threat against Dumbledore--hopefully by saving Dumbledore's life. Finally, just a side note of interest--the zodiac sign associated with geomantic Albus is Gemini. Gemini is, of course, the twin. 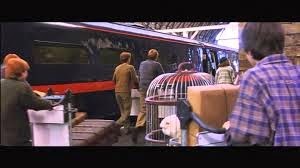 Could Albus and Aberforth be twins? And if so, how would that relate to the septology? Will Aberforth play a more prominent role in the last book with the removal of his brother? And if so, what type of role? As we know now, Aberforth, while not a twin, definitely played a strong role in Deathly Hallows. And while Hagrid was not on top of the Astronomy tower when Dumbledore was killed, he did battle the Death Eaters as they fled and set fire to his hut. In JK Rowling's deft hands, character names are more than just a reflection of the personality of its owner. But JKR's talent was not just in giving her characters a whimsical, though accessible, name which made them seem fully a part of their magical world. It was most importantly her ability to craft a name which carried hints of the mystery surrounding that character that intrigued her rabid audience. As we start getting names for Fantastic Beasts and Where to Find Them, and hints of the plot, we should also be able to dig below the surface and discover some of the mysteries Jo will be developing for this new series. Note: The full "Geomancy and Alchemy Gems in Harry Potter" is way too long to reproduce on a blog. But if you're interested, it's been on the web here for quite some time.